A friend of mine once remarked that Alien is a movie about splitting up and looking for clues. While there’s a grain of truth to that statement, it’s equally true that Alien is one of the best “splitting up” movies ever made. Due to its excellent production design, impeccable storytelling, and strong performances, Ridley Scott’s 1979 classic remains an effective horror film more than 30 years after its release and proves that suspense and cinematography, not blood and guts, are the key components of a truly terrifying movie. A party of seven astronauts is returning from a mining expedition when the master-computer of their ship, the Nostromo, detects a distress signal from an uncharted, desolate planet. Although most of the members would rather run home and “get their share”, their company’s code requires them to probe situations like these; reluctantly they land Nostromo and a group of three embarks to find the signal’s origin while the ship’s Warrant Officer Ellen Ripley, played by then-newcomer Sigourney Weaver, and the others stay behind to make repairs. While navigating the rocky, featureless landscape, the trio happens upon a downed alien ship, inside of which they discover a tall, deceased humanoid (later identified as an Engineer in Scott’s own prequel Prometheus) whose chest has mysteriously exploded. Revolted at and rather disturbed by their findings, they decide to leave the apparently abandoned ship, but on his way out, one of the scientists enters a large chamber that contains several eggs, one of which hatches literally right before his eyes. What happens next I shall not spoil for those unfamiliar with the film’s plot and titular character. One of Alien’s strongest attributes is its story, which contains a bounty of surprising and horrifying twists; audiences should ideally approach the movie with as little foreknowledge as possible to experience the full impact of it tale. Alien and Prometheus are similar in that both are technical masterpieces with credible effects, intriguing production design, and skillful direction. Alien is rightfully renowned for using dim and claustrophobic sets to amplify the audience’s apprehension of the creature. If I could make one complaint about the production design, it would be that there’s an odd lack of lights on the futuristic, hyper-advanced spaceship, but setting the movie in a brightly lit environment would obviously detract from the horror and be the greater of two evils. Aside from that, the sets are magnificent in scope and detail, proving demonstrably that green-screen stages are a poor substitute for real sets. Alien’s visuals also exemplify the enduring appeal of traditional, computer-free effects, for while old CG-heavy movies like Tron have grown outdated and somewhat laughable because of constantly improving computer graphics, the miniatures, puppetry, and makeup of the earlier Alien films have never lost their impact. Nor has the alien itself, a vicious, repulsive, and terrifying parasite whose on-screen presence is brief but unforgettable. When Scott meshes all these elements together and complements them with his cinematography, the result is some of the most iconic movie scenes ever, predominantly the one in which the alien first bursts onto screen. The distinction between Alien and Prometheus is that the former appeals to the ears as well as to the eyes. The 1979 film is a plausible, complete, and gripping work that has believable characters and leaves no glaring unanswered questions. Alien could easily have been based on a Michael Crichton novel, as it concerns a small group of talented but otherwise ordinary scientists who confront terror and forces beyond their control in a location that’s seemingly secure from all threats but is woefully vulnerable in reality. The themes of contamination, impending doom, isolation, and betrayal are precisely what give Alien its tension and maintain the audience’s dread even when the creature is off screen. Indeed, the most horrifying part of Alien is not the monster itself, which appears only momentarily in all its forms, but the realization that the crew’s safety was never a priority. Furthermore, one can more readily empathize with the Nostromo’s crewmates, who are mostly just average people trying to earn a living, than with Prometheus’, who embrace phony, supernatural science, make outrageous decisions, and border on horror movie stereotypes. 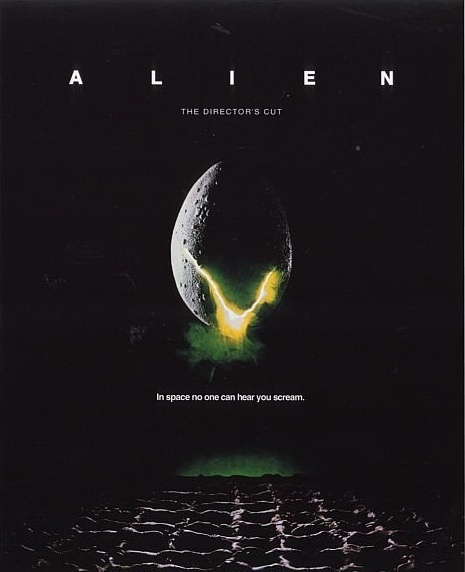 Both crews make grave mistakes throughout their films and in each case the progression of the plot largely hinges on these tactical errors, but it’s far easier to justify the actions of Alien’s characters, who act not out of forced stupidity but out of loyalty to their companions and a naïve ignorance of the galaxy’s dangers. Prometheus raises more philosophical questions than Alien but offers clear answers to none of them, and its attempt to flesh out the background of the Alien universe only adds confusion to a premise which didn’t need clarification. In contrast, Alien tells a simple but satisfying story about 7 people struggling for survival against a demonic force in the far reaches of space, where salvation is remote and no one can hear them scream. It’s not thought-provoking science fiction by any means, but it’s an extremely well made and effective horror film which will continue to frighten spectators many years into the future. 1. The special, behind-the-scenes features compiled for this film are rather amusing in the way they reveal the ridiculous sense of entitlement so many millionaire actors possess. Some of the cast members complained about passing out in uncomfortable space suits and doing multiple takes on certain scenes. What aspiring, up-and-coming actor in his right mind would refuse a million dollar check to appear in one of the most successful science-fiction movies ever produced? 2. Spoiler: Anyone who says that the alien looks like a male organ has to be on some pretty powerful crack. Certainly one can reason that the facehugger “rapes” Kane by impregnating him against his will, but neither the egg, nor the alien, nor the spaceships, nor the space jockey, nor the whatever look anything like a human crotch, unless your idea of a crotch has arms, legs, spines, fingers, slime, and fangs like daggers. Overthinking, elitist film commentators be damned. These parrots need a little more GRAVITAS.